Barely a decade after the Wright Brothers took to the skies impossibly brave young men climbed into flimsy aeroplanes of wood, canvas and glue and took off from the grassy runway of a requisitioned farm at Stow Maries in Essex to defend their country against Zeppelin attacks. In the year that marks the 100th anniversaries of both the Great War and the RAF we celebrate Those Magnificent Men in Their Flying Machines with an afternoon musical show in the authentic men’s Mess Hall of the world’s last surviving Great War Aerodrome. Our performers, singer John Knowles and virtuoso Paul Higgs on keyboards, will take you on a musical journey from the first days of flight, through the glory and pain of the Great War, and on to the daring exploits of the Second World War. Interspersed with snippets of the historical milestones of Stow Maries, the Royal Flying Corps and the RAF this memorable afternoon runs through the whole gamut of emotions stirred by the exploits of the young men and women who gave everything for their country. Songs include Those Magnificent Men, Snoopy Versus The Red Baron, Wing & A Prayer, and all of the most loved Great War standards through to The Dam Busters March, some 1940s Boogie Woogie and, of course, a bit of We’ll Meet Again and The White Cliffs of Dover. Singer John Knowles has music in his blood. In his youth he played across Europe with his band Talisman. In more recent years he has led the magnificent entertainment ensemble Cockney Pride. John’s intimate style will tug at your heartstrings and his lovely, gentle sense of humour will warm the old cockles. 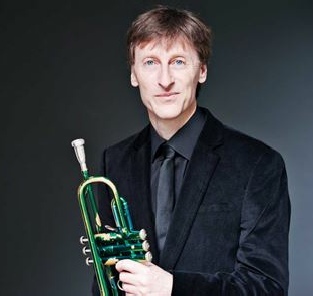 Paul Higgs on keyboards is one of the UK’s leading trumpet players and composers. His extensive musical career included many years as Musical Director at the National Theatre and the Royal Shakespeare Company. 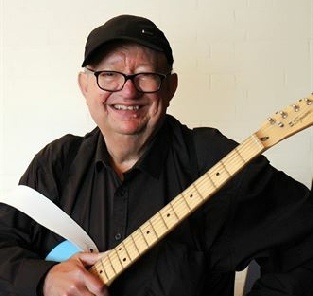 Paul has performed with a stellar list of musicians from Johnny Dankworth to John Williams. He has played at major concert halls around the world from Ronnie Scotts to the Royal Albert Hall. Together John and Paul create a magical afternoon taking you on a unique and very entertaining musical journey through 100 years of Those Magnificent Men in Their Flying Machines. A Mess Hall Afternoon Tea with sandwiches, sausage rolls and scones is served and the afternoon also includes an optional guided tour of the Stow Maries site and time to see the Museum. Those Magnificent Men is also a Jam Buster making sure that you miss the rush hours at both ends of the day. Arrive on site near Maldon in Essex at 11.45am for the optional tour and time to see the museum. At 1.30pm we serve our Mess Hall Afternoon Tea with a mix of sandwiches, savouries and scones and the entertainment begins. There’ll be some sing-a-long opportunities, a bit of dancing if you wish, and a short interval and when the show finishes you’ll be safely back on your coach ready to head home at 3.45pm.